Once Christmas is over, you’ll want to make sure that you organize your Christmas decorations in a way that they will be easier to get out next year. Wrapping Christmas balls in newspaper is soooo 1980s! 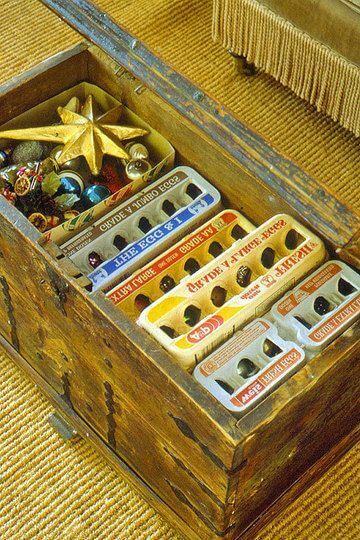 Save those egg cartons and stack them inside crates or storage bins for next year. No messy black hands after wrapping in newspaper. Easy to get in and out. 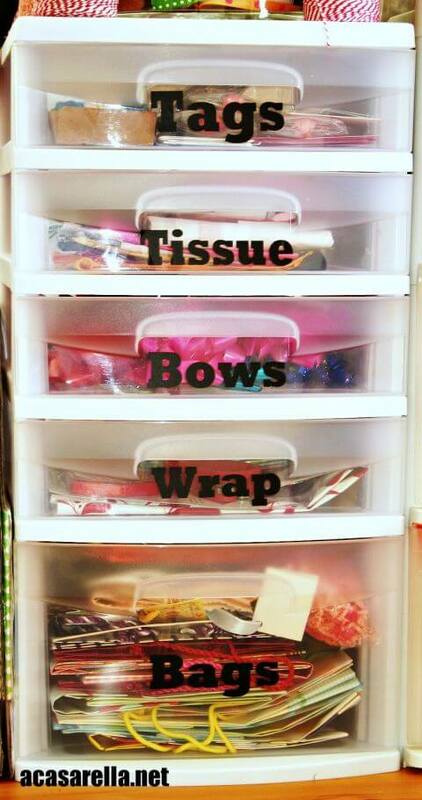 For all those tiny items like bows, ribbons and gift tags, get yourself a compartment drawer and label each one, making it easier to identify where things go. 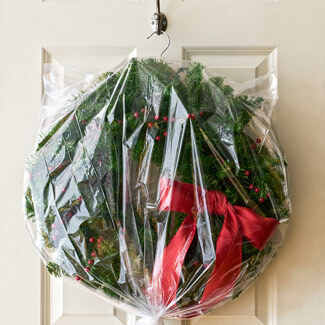 Save those water bottles and store your garland or smaller ornaments inside when Christmas is over. Easy to see next year and it won’t be all tangled up on the bottom of a box. 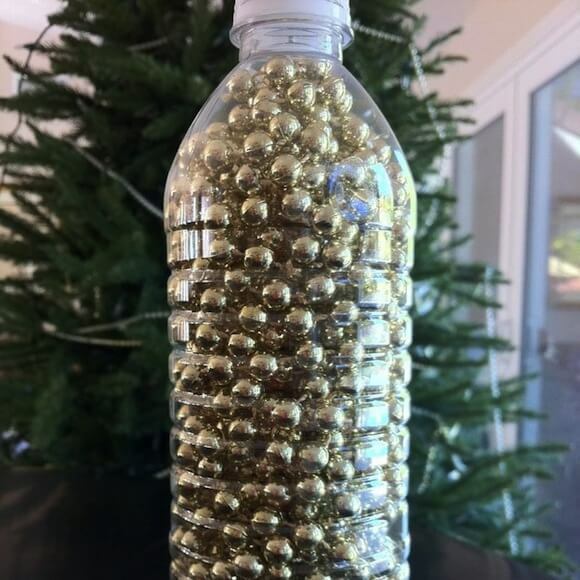 Tennis ball canisters work just as well as water bottles for all sorts of trinkets, small balls or more garland. 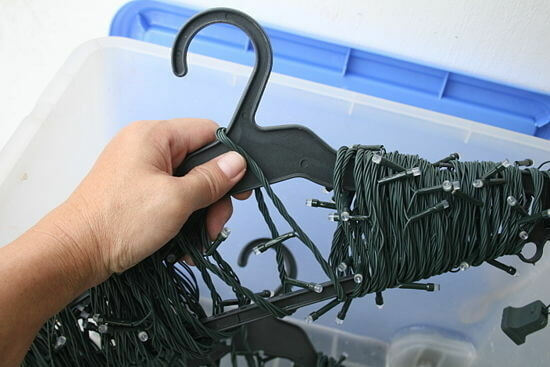 Coat hangers are a great way to store your lights. No more untangling! Not exactly storage, but this is a pretty awesome idea. Wrap up a cardboard box to serve as your Christmas morning gift wrap receptacle. It will keep the floor from being littered with paper and look way cuter in the background of your photos. 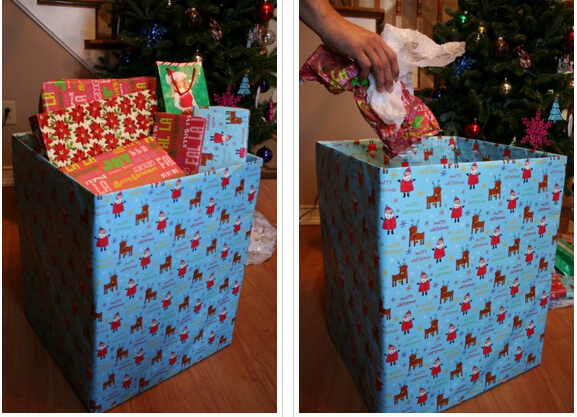 Still using a box for wrapping paper storage? Or worse yet, wrapping paper rolls just sitting loose in the bottom of a closet? This awesome idea will blow you away! Christmas wreaths don’t always store well in boxes. Instead, grab a bag and a hanger and keep it hangin’ throughout the year. 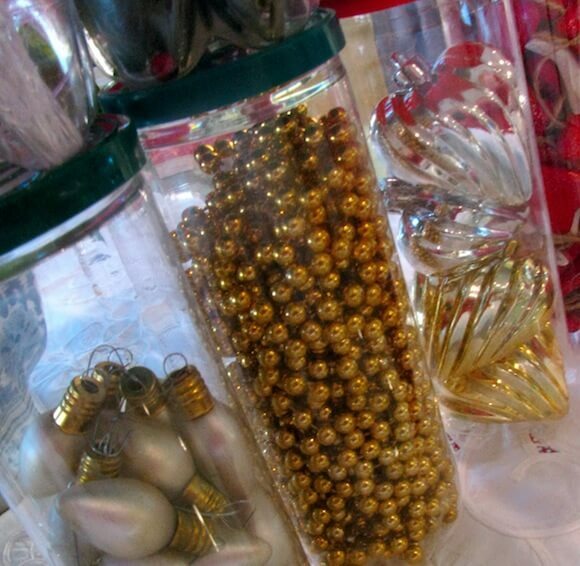 Keep your Christmas Ornaments & Decorations Organized – No Excuses! From egg cartons to hangers, this year don’t just dump all your Christmas decorations in a box at the end of the season. Keep it organized for next year with these fun DIY storage tips. Need even more storage space? We have an economical and hassle free solution for you, our Verona shed. This charming and multi-functional design features a free storage loft so you can easily store seasonal items and collectibles all year long. Installed for only $2,099. 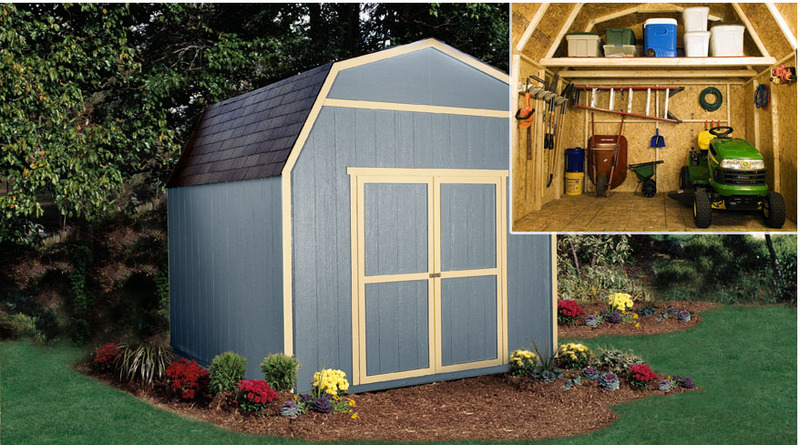 10×10 Verona storage shed. Shop Online Now!